IHT receipts increased by 22.9% in the first quarter of this tax year, according to data from the Office for National Statistics. The figures show that more than £2 billion has been taken from people’s estates in IHT since March. Talking about estate planning is an extremely emotional subject, as people generally don’t like talking about money or death. However, the research shows that around one in ten people would like to talk about it but haven’t found the right time, and some people just don’t know where to start (7%). When someone dies, the value of their estate becomes liable for IHT. Everyone is entitled to pass on assets of up to £325,000 IHT-free. This is called the ‘nil-rate band’. It hasn’t changed since 2009 and will remain frozen until 2021. Any excess above £325,000 is taxed at 40%. The new £100,000 residence nil-rate band was introduced in April 2017. It will increase in steps to £175,000 in April 2020, so married couples or registered civil partners with children will be able to pass on up to £1 million IHT-free. The residence nil rate band is only available when passing on the family home, or the value from the sale of it, to a direct descendent, so it is important to consider structuring your estate to make the most of these allowances. The research of 4,000 UK adults shows that a quarter (26%) of people say they haven’t discussed the subject with loved ones because they’re not old, so it’s not a priority. However, age isn’t the only factor preventing people from talking about inheritance, as one in seven (14%) say they don’t like talking about death, and one in ten (11%) say they avoid it because it’s a morbid subject. While more than a third (36%) of people say they don’t feel comfortable talking about their legacy, there are some life events that may prompt people to talk to loved ones about this important subject, such as a health scare (52%), a near-death experience (46%) and getting older (46%). There are also some people who hold the key to unlocking inheritance conversations. After their partner or spouse (32%), people feel most comfortable talking to their mum (8%) or a financial adviser (8%) in the first instance. Of those who have broached the subject, most (36%) have talked about passing on wealth when they die, a quarter (26%) have discussed Will writing, and one in five (18%) have discussed passing on personal items such as jewellery and photos. One in ten (10%) say they have talked about which belongings they want to give to loved ones while alive. The research suggests that as people live longer and have healthier lives, many may be torn between the desire to help loved ones while also maintaining their own financial independence. Those who have a plan estimate that 65% of their wealth will be needed to cover their ‘cost of living’, leaving them able to pass on a quarter (25%) to loved ones in a Will and to share 10% with their family as a ‘living legacy’ while they are alive. Gifting wealth – whether it is money, property or family heirlooms – is important to Britons, with half (45%) hoping to pass on a legacy to loved ones. 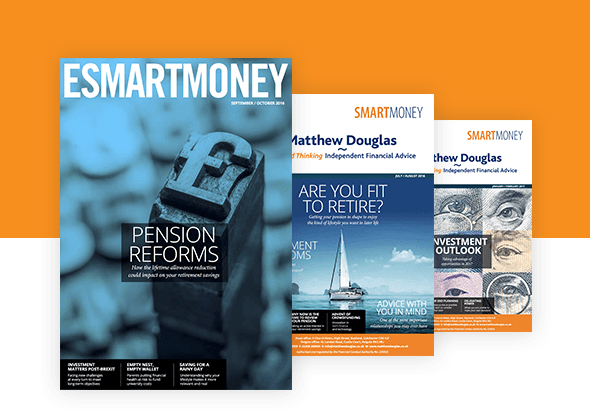 The research shows that the most common reason over-50s choose to pass on wealth after they have died is because they are worried their loved ones won’t have enough money to fund retirement or later-life care (52%). Other reasons include wanting to help family members even if they’re not here to see them receive it (47%), and leaving younger family members something to remember them by (26%). Those over 50 opting for a living legacy are motivated by the thought of being around to watch loved ones benefit from their wealth (49%) and thinking that younger family members need the money more than they do (23%). One in eight (12%) also see the financial benefits of gifting money while they’re alive and plan to do so for tax reasons. In fact, more people are stepping in and providing financial support to family members this year, compared to last year. For instance, 59% intend to fund family weddings and deposits for first homes in 2017, compared to 52% of people in 2016. When you are making a Will, this is a good time to talk to your family about your wishes. The research found just four in ten (40%) of over-55s have an up-to-date and valid Will. You can give away £3,000 each year, and this will not be subject to IHT. In addition, parents can gift £5,000 to each child as a wedding gift, while grandparents can give £2,500. However, the research shows one in three people don’t know how much you can gift each year without having to pay IHT. Gifting money regularly throughout the year can be a great way to financially help loved ones, and it can also reduce your IHT liability. Some people will find it hard asking for money, so try and speak to your children and grandchildren to find out if you can help them with something specific, such as a new car or school fees. The research shows that some life events, such as a health scare, could prompt people to talk to their loved ones about inheritance matters. However, there are some positive events, like a birth in the family or getting married, that can also make people evaluate their plans. Use these opportunities as a way of talking to relatives about how you would like to pass on your wealth. Social care is a much-talked-about topic, and many people are worried about how they will pay for care when they get older. As a result, people may be starting to plan for this earlier than previous generations. It’s important to talk to your family about the care you want so they stay true to your wishes. This could be the perfect time to introduce the subject of inheritance, as estate planning and later-life care go hand in hand. If you find it hard to approach the subject of estate planning with your family, then a good place to start could be talking about family heirlooms. People love to hear stories about older relatives, even if they never had the chance to meet them. Talking about items that are important to you or were important to other family members can be a great way to start a conversation about estate planning.